Swimming, pedal boat rides, rowing, fishing, wake board or knee board, tube or banana rides, sailing or surfing – you will be picked up at our jetty. The natural and idyllic landscape around the lake offers numerous biking and hiking paths as well as routes for joggers and skaters and is a true paradise for sports devotees – whether easy-going or ambitious - you will get what you want. Tennis enthusiasts can play on the sand courts next to hotel Astoria. 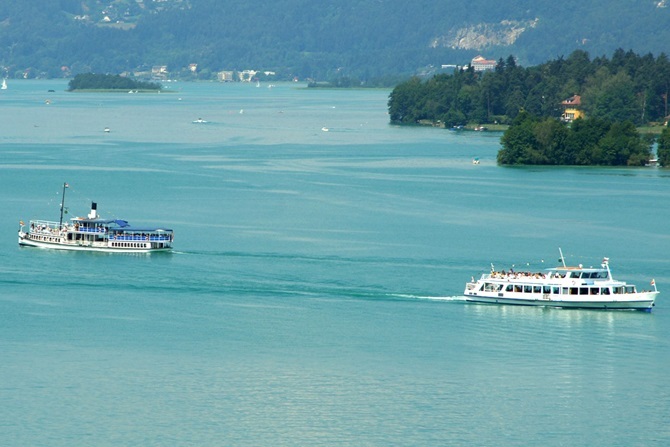 Enjoy the Wörthersee-Kärnten Card and its numerous offers like boat trips on the lake and free entry to more than 100 sightseeing spots in Carinthia!